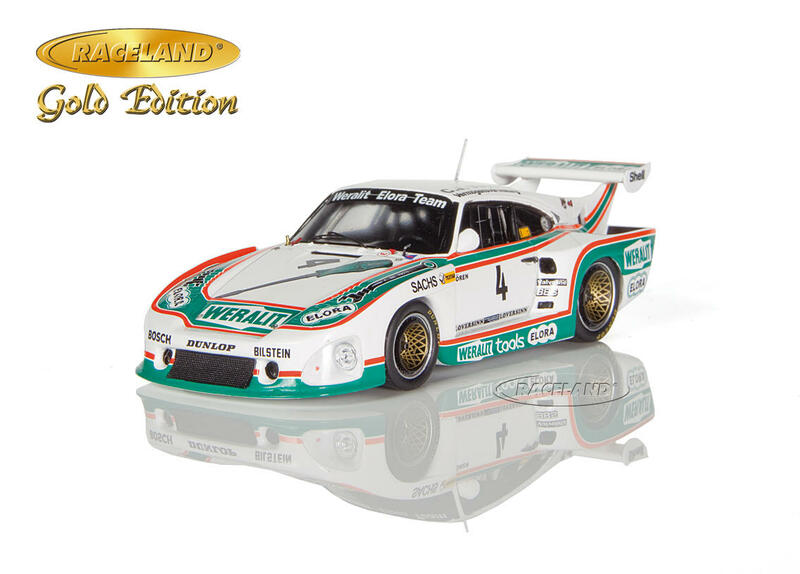 The product "Porsche 935 K3 Weralit Elora 3° DRM Zolder Westfalen Pokal 1980 Edgar Dören" was successfully added to your wishlist. Nicknamed "Mr. Porsche" Wuppertal privateer Edgar Dören had been a fixture in the German Deutsche Rennsport Meisterschaft since 1971 and remained true to Porsche for decades. 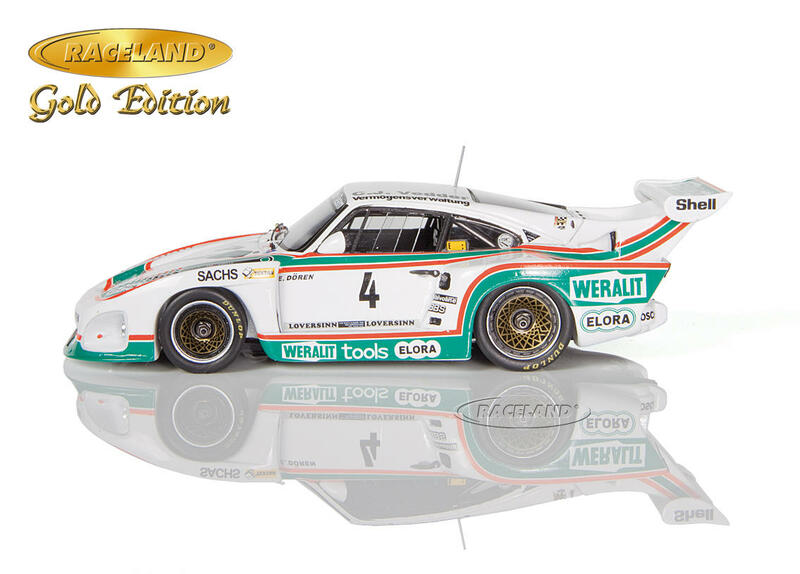 With the support of the tool brands Weralit and Elora a dream came true for him in 1980 when he acquired a Porsche 935 K3 to race the German DRM championship and several rounds of the World Championship for Makes that year. 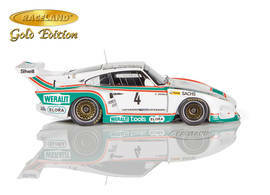 Two podium finishes at the Mainz-Finthen and Zolder DRM rounds were the highlights for the colourful Weralit car in 1980. 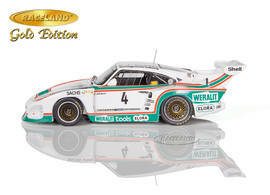 Between 1980 and 1982 this Porsche 935 K3 chassis #009 0003 was a regular starter in national and international events with Edgar Dören and e.g. team mate Jürgen Lässig and also raced the Le Mans 24 Hours in 1981. In a late career #009 was used by John Greasley to mix up the 1993 British GT Championship. 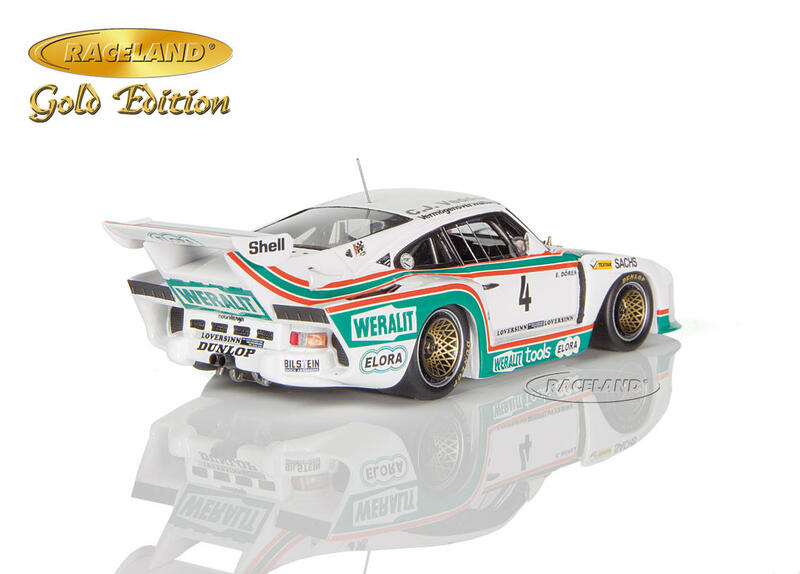 Dören continued endurance racing with Porsche in VLN at the Nürburgring Nordschleife for 22 years and won the Nürburgring 24 Hours of 1988. He died in 2004 just a few days ahead of another season.